“This may sound a little chauvinistic, but I think every man has the desire to build a home for himself in the wilderness with his bare hands,” says Elbert Greer. 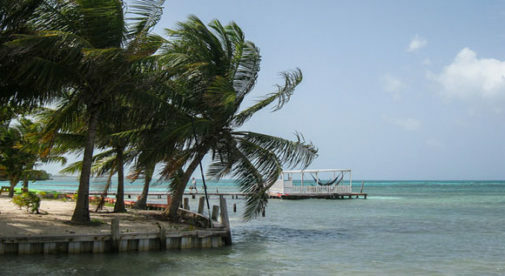 It was this desire, to carve out a place in paradise, that led the former teacher to his new life on Ambergris Caye, a Caribbean island just off the northeastern tip of Belize. After many years teaching vocational education for the state of Tennessee, Elbert had decided it was time for a change. Recently divorced and 40 years old, he didn’t just change his life…he started over from scratch. He and his faithful black Labrador, Bubba, arrived just as the island was becoming a diving Mecca. That was in the mid-1980s. More than 20 years later, Elbert is running a successful business and is one of the top dive instructors in the Caribbean, with more than 4,000 dives under his tank. His White Sands dive shop offers a full range of services to divers and snorkelers, and he also teaches at Las Terrazas, a local luxury resort. Elbert’s not the only entrepreneur on the island. His wife Katie, who originally came as a tourist, now runs the Sew What? Shop on Back Street in San Pedro, which provides custom upholstery and sail repair. I caught up with Elbert at the Smiling Toucan, an outdoor restaurant at Journey’s End Resort, where his dive shop is located. When Elbert began his search for a place to “start over,” he spent a year considering eight different islands. He found some places that were too expensive, some that had no stable government, and others where foreigners couldn’t own land. Everything he needed—the government, the prices and “fee simple” land ownership rules—was already under his feet. Elbert built his own house on two acres at the northern end of the island, clearing the land himself. Although there was what could loosely be described as a road, no cars were allowed so his main transport was his boat. Elbert found it all exhilarating. Bird watching, another of Elbert’s passions, also kept him busy. “I didn’t have to get wet to do it, and all my idle time was spent at the bar,” he laughed. Without a telephone, a TV or computer, it was the only entertainment he and Bubba had. He became such an expert that he wrote a column for the San Pedro Sun newspaper called “Bird of the Week,” which he later self-published as a book, Birdwatching with Bubba (Xlibris Publishing), back in 2002. Today Elbert writes essays, often about economic development and its impact on the island’s environment. Would Elbert consider returning to the U.S.? “No. Belize has ruined me for the States,” he says proudly, adding that he has become a citizen.